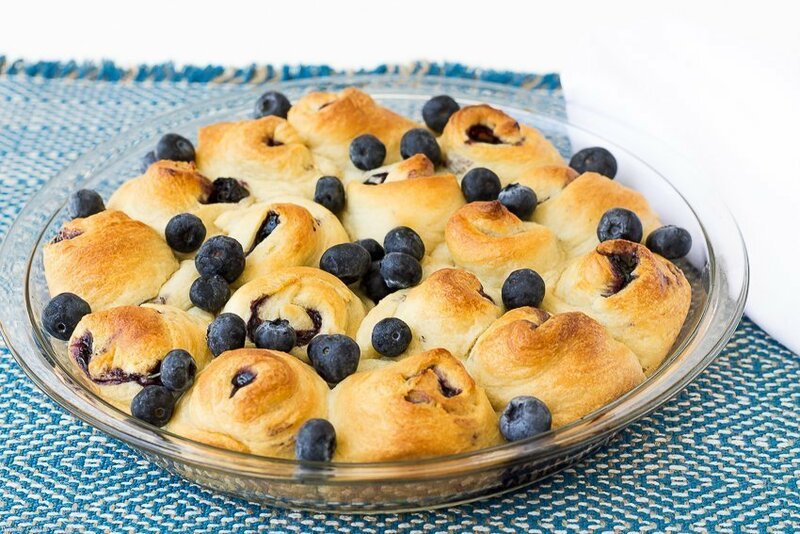 A warm inviting pan of Lemon Blueberry Knots will brighten your weekend morning. Tender, flaky crescent knots with a seasonal lemon blueberry filling. So this is it folks. We are t-minus 6 hours until the kid needs to be at the recruiting station. His room is packed up and clean, boxes are stacked in the garage and his duffel bag is waiting by the front door. 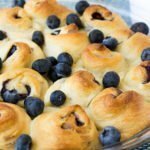 [bctt tweet=”Lemon Blueberry Knots #breakfast #brunch #seasonal #blueberries” username=”thyme4cocktails”] After a 2 weeks visiting with friends, running errands and getting ready everyone was under strict orders to be home for family time starting Friday afternoon. We had a dear friend over for tacos, and then it was just us. It shouldn’t be a surprise that most of Saturday revolved around the casa kitchen. It’s just where our life takes place. Early in morning the kid and I had the place to ourselves so we made these super easy Lemon Blueberry Knots. Rolls for breakfast are a family favorite and this recipe is a great shortcut when I don’t want to make full on breakfast rolls. 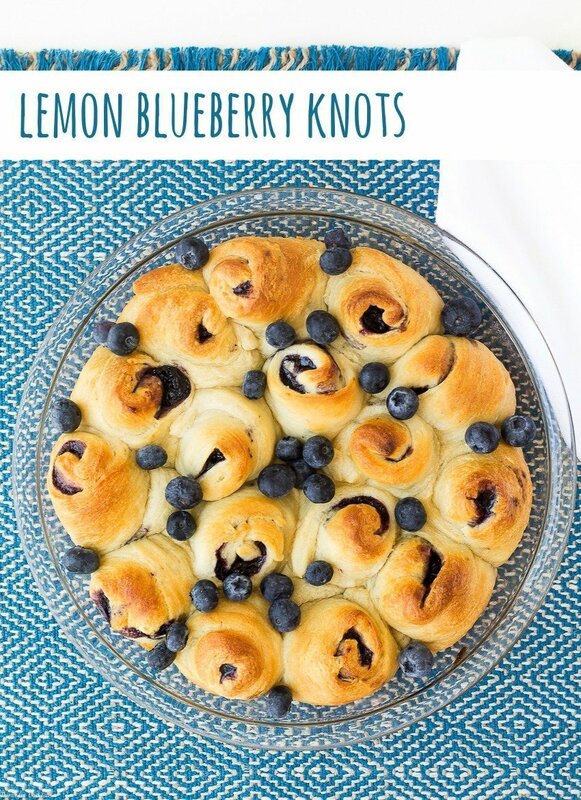 We opted to eat this batch of knots plain with extra blueberries, but a simple lemon glaze or even a sprinkling of confectioners sugar would be tasty. 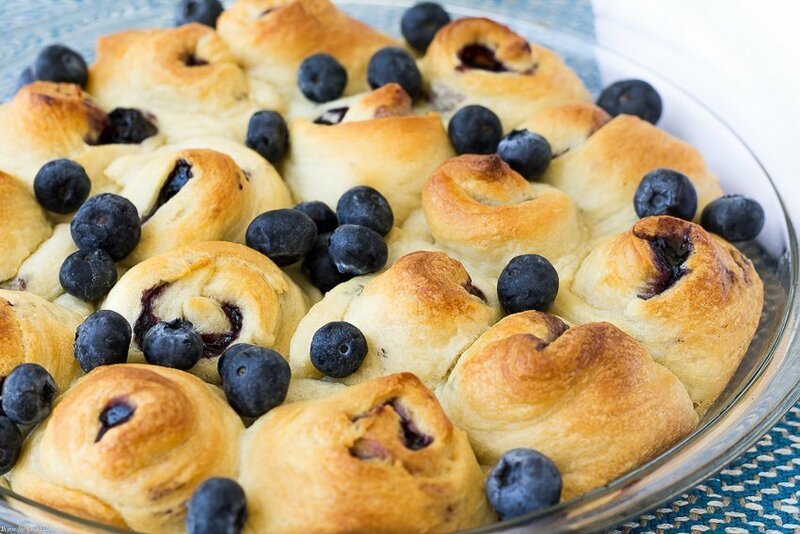 A warm inviting pan of Lemon Blueberry Rolls with brighten your weekend morning. Tender, flaky crescent knots with a seasonal lemon blueberry filling. Add berries, honey, lemon zest and 1/4 cup water to a small sauce pan. Bring to a low boil, reduce heat to low and simmer 6-8 minutes. Mix lemon juice and corn starch together in a small bowl. Stir mixture into berry sauce. Simmer 1-2 minutes. Spray a 9-inch pie dish with non-stick spray. Unroll crescent rolls on a lightly floured surface. 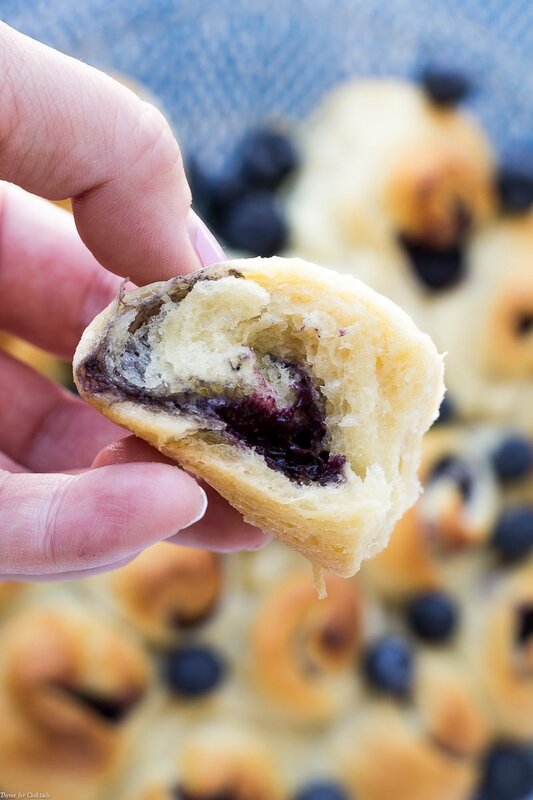 Spread dough evenly with blueberry sauce. To make knots fold one corner on the short side of a crescent roll over the filling. Starting from the same end, roll the dough according to package directions. Place rolls open side up in pie dish. Repeat with remaining rolls. I’m not clear on how to roll these up…any pics?